Discover definitive recordings of classical music with your trusted guide, Rob Cowan. His guest is comedy promoter and producer, Karen Koren. Rob's guest this week is the comedy promoter and producer, Karen Koren. Karen has been heavily involved in the comedy scene for more than 30 years and is the founder and artistic director of the Gilded Balloon, a major comedy venue at the Edinburgh Festival Fringe. Karen devised the competition So You Think You're Funny?, which has been won by major comics such as Lee Mack, Peter Kay and Dylan Moran. Karen has also launched the careers of many other comedians including Alistair McGowan, Bill Bailey and Tim Minchin. 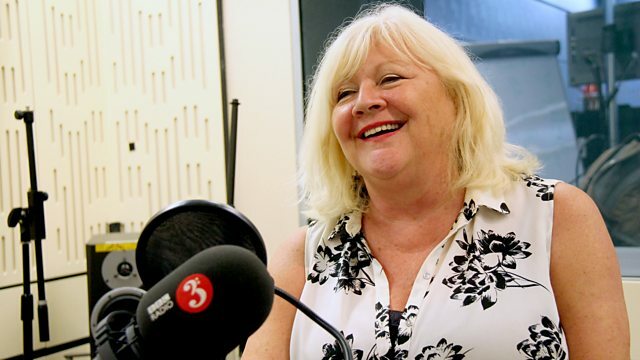 As well as discussing her Norwegian roots, her life and her work, Karen shares some of her favourite classical music throughout the week. Rob explores a work by Norwegian composer Johan Svendsen, which links Norway with Italy. Svendsen's orchestral work, Norwegian Artists' Carnival depicts the carnival festivities of the Norwegian artists' colony in Rome. Rob explores the nature of performance by highlighting the differences in style between two recordings of Bruckner's motet 'Pange lingua' by the Choir of St John's College, Cambridge under George Guest, and the Choir of St Mary's Cathedral, Edinburgh, directed by Duncan Ferguson. Rob's Proms Artist of the Week is the Estonian conductor, Paavo Järvi. Born into one of the most illustrious musical families in the Northern Hemisphere, Järvi - upcoming chief conductor of the Tonhalle Orchester Zürich - is among the most compelling conductors on the current performing circuit. His approach combines clarity of vision with dynamism, a heady mix that especially suits key works from the early twentieth century. Järvi is currently Artist Director of the Deutsche Kammerphilharmonie Bremen whom he conducts at the BBC Proms this week, and he's also conducted a number of leading orchestras including the Orchestre de Paris, Budapest Festival Orchestra and Vienna Symphony Orchestra. From Järvi's sizeable discography, Rob has chosen his recordings of Bizet with the Orchestre de Paris, Lutosławski and Prokofiev with the Cincinnati Symphony Orchestra, Shostakovich with the Estonian National Symphony Orchestra, and Mozart with the Deutsche Kammerphilharmonie Bremen. Choir: Westminster Cathedral Choir. Conductor: Martin Baker. Conductor: Antal Doráti. Orchestra: Minnesota Orchestra. Antal Dorati Conducts Kodaly Hary Janos Suite Bartok Hungarian Sketches and Roum. Performer: Louis Kaufman. Performer: George Berres. Performer: Alexander Neiman. Performer: Terry King. Lenox Avenue - the music of William Grant Still. Choir: Choir of St John’s College, Cambridge. Conductor: George Guest. Nelson Freire: Chopin, The Nocturnes. Performer: Hilary Hahn. Orchestra: The Deutsche Kammerphilharmonie Bremen. Conductor: Paavo Järvi. The music we heard was Eric Carmen's 'Never Gonna Fall in Love', which borrowed its melody from the 3rd movement of Rachmaninov's Second Symphony.